“The new donor portal is part of our ongoing commitment to providing donors at the Community Foundation with the tools and resources they need to transform the region through their generosity,” said Jenny Molyneaux, project manager, who is overseeing technology enhancements at the Community Foundation. The new donor portal will go online this spring after a period of testing with a small group of donors, who will provide feedback on the user experience. As the new portal launches, donors will be provided with detailed instructions on how to create their own username and password to access their funds online. 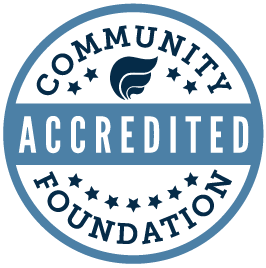 Community Foundation staff will also be on-hand to answer any questions donors may have, and walk them through the new online service. Molyneaux, alongside Kathy Graves, vice president of finance, has been working with a team at the Community Foundation on enhancements to technologies that power an organization that today has grown to over $143 million in assets. In addition to the new donor portal, a new and sophisticated database is coming online that fully integrates with the portal and the Community Foundation’s online giving system. “Our technology will now be fully integrated, making the experience seamless for current—and new—donors to the Community Foundation,” Molyneaux added. Donors will begin to experience the enhancements this spring, and will still have access to the current 24/7 My Fund through the fall of 2019.